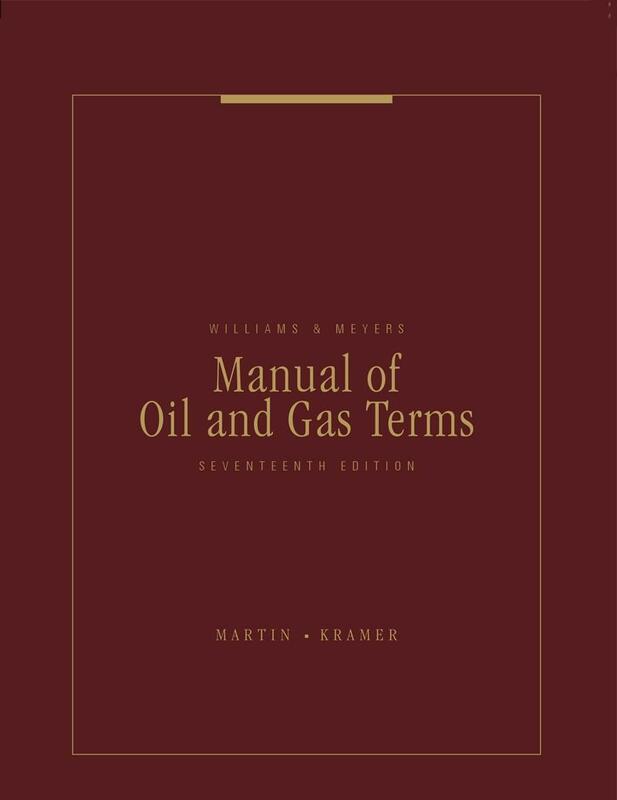 Williams & Meyers, Manual of Oil and Gas Terms is an easy to use softbound desk reference that defines the words, phrases and acronyms most useful to lawyers, accountants, and others in the great variety of occupations related to the lucrative oil and gas industry. 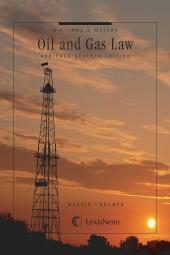 It includes, where appropriate, references to statutes, cases, books and law review articles. 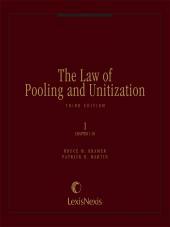 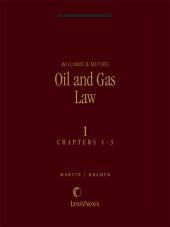 • Ample cross-references to the 8-volume treatise, Williams & Meyers, Oil and Gas Law. 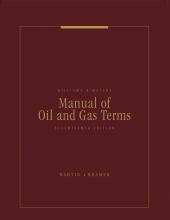 The Manual of Oil and Gas Terms is also available packaged as Volume 8 of Williams & Meyers Oil and Gas Law.